Shipping is only $7.99 per order, no matter how much you order! For optimum performance replace filter every 2 to 3 months. Fits all Jr. body Austin Air air cleaner models. 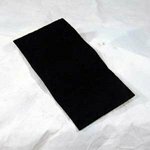 Large 15-3/4 x 46-1/2 cut-to-fit activated carbon sheet!